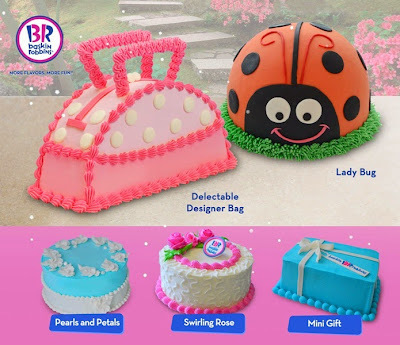 Surprise your mom with a specially created ice cream cake from Baskin-Robbins on Mother's Day. There are a lot of nice ice cream cake designs to choose from and this are made with premium ice cream and a layer of delicious moist cake. Visit your nearest Baskin-Robbins branch now to reserve an ice cream cake for your mom.